Viacheslav is an experienced engineer and entrepreneur with 14 years of designing and scaling enterprise software with an excellent background in distributed systems, artificial intelligence, and Big Data. Passionate about tuning robust, high-performance systems which scale well. Two Master degrees in Technical Management from Foster School of Business - The University of Washington in the USA and also computer science masters from Kharkov Aerospace University in Ukraine. Slava received customer obsessions awards in Microsoft and always acting as a bridge from business to technology with a pioneering spirit. Viacheslav is passionate about leadership roles on strategic and impactful projects with metrics-driven, high-performance, and scalable development. Slava is a life learner with two master’s degrees in technology management and computer systems. Expert in lean software development - it means rapid, agile prototyping with development cycles which fail fast to learn quickly and to apply innovative solutions in iterations. Clients hire me to develop new software products for innovative markets that are rapidly growing. They know that best products come from great empathy and customer insights, but also requires courage, hard work, and perseverance. Nowadays, leading software services and infrastructure in the knowledge graph called Satori. The main project is related to machine learning and NLP on top of knowledge graph with 1.6 billion entities. Primary work accomplished on data mining and extraction with natural language processing. Knowledge graph we built has about 10 TB of data and API's available for integration with Skype, Bing.com, Bing Ads, Dynamics CRM, Windows Cortana, Word, MSN, and Excel. Technology Management MBA (2015-2017) - Foster School of Business, University of Washington. Computer Science Masters with Honors (2002- 2007) - Kharkov National Airspace University, Faculty of Radio Systems for Aircraft Department of Computer Systems and Networks. Received training on machine learning, entrepreneurship, business pitch, Dale Carnegie skills for success. Energsoft, Inc. provides an enterprise cloud software as a service platform with analytics tools for companies that manufacture or use energy storage, ultracapacitors, and batteries. Our existing software platform tracks four thousand batteries and capacitors, and customer data from the 20 smartest companies in the industry like Intel, and Microsoft. We are not building new batteries or battery management system, it is a data analysis and visualization company like Tableau Software, but for energy storage. 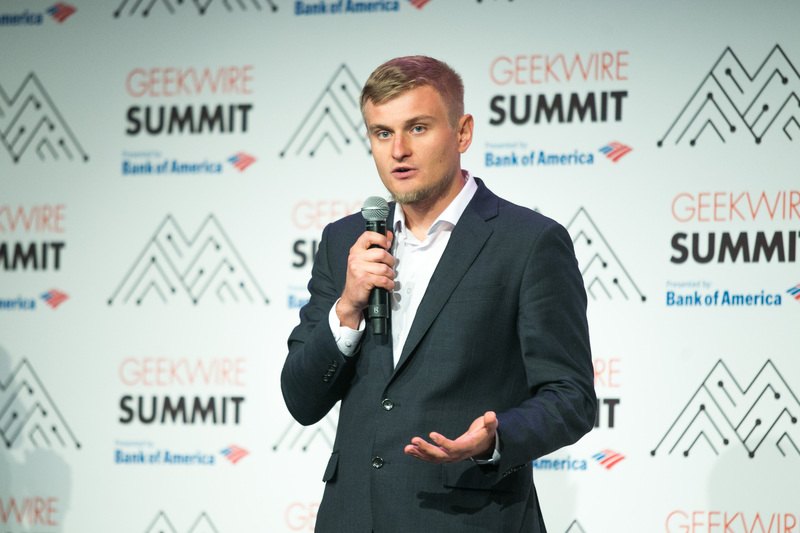 As a CEO of the company, Slava raised 170,000$ and won multiple University startup competitions while inside the MBA program in the USA, but also in the international competitions in China and Australia. Currently working in the AI Core division - knowledge and conversation team. Received four promotions from contract SDET to full-time Senior SDE. Managed critical Bing Ads and NLP projects to power Cortana and Excel. Created scalable service for state of the art natural language processing project NEMO; improved backend with 15% less loading time, 5% less memory, and 50% faster performance without a change in precision or recall. Conducted natural language processing pipeline for web tables extraction over 800M tables. Mentored and led a team of four to determine a content type and generate attributions or encumbrances automatically. Drove a team developed internal admin portal and encumbrance rules for the graph, on Bing.com. Led a team of three senior engineers in California to develop Bing Ads Content API version 2. Increased daily revenue from $2K in November 2015 to $20K in May 2016, and to $12M annually. Oversaw customer’s onboarding for Nordstrom, Alibaba, com, Rakuten, and eBay, e.g. that entailed prioritizing custom features and delivering 24/7 support. Built request for information service to send ads emails from SMTP server - 1M emails per hour. Architected orchestration engine to extract storage content and to upload it in Azure Table (NoSQL) storage with the optimized infrastructure to support speed over 1000 rows of blob data per second. Tested Bing Business Portal, MSN offers, and Loyalty service with 64 end to end tests, fixed 30 bugs. Designed and created automation for CAP (Customer Assistance Portal) that was used by on-call support in Windows, MSN, and Xbox daily. Found and helped resolve 100 critical, performances and other product bugs. Developed WPF UI automation framework with 70% test code coverage. Developed verification tools for production data migration from Dynamics CRM Online from GFS servers to Windows Azure cloud and discovered more than 30 customers facing bugs. The first day of the job was a business trip to Boston for training on the surgical device in the Medtronic laboratory. I reverse engineered source code on X-ray imaging system known as the O-arm. Verified new software in the laboratory on O-Arm device portable 3D X-ray imaging system. Drove project for stability improvements in O-arm devices with stable TCP/IP network framework. Reduced time for lab testing and save money for business trips to Boston. Designed convenient web-based tool for analyzing log files produced by the O-Arm System with MVS and IAS applications that increased support team productivity by a few hours a day and reduced time for debugging problems on remote devices with easy integration to Excel. Oversaw communication framework with keep-alive restore connection and XML system message validation. Improved application lifetime and network stability for each device in the system. Created hardware emulator to provide a development environment that allowed offshore development teams to work independently from anywhere in the world. Solicited and consulted companies around the globe to acquire new businesses as a consultant first and then remote offshore team in Ukraine. Involved extensive travel with new projects in publishing, recruitment, and e-commerce. Assembled a brand new build system and skilled team to use it across all projects. Consulted a versatile online application to manage the recruitment lifecycle called Talents. Resolved internationalization, extensibility and scalability problems, and implementation used in IBM, Yorkshire Water Services, and Hampton’s for recruitment agencies. Developed portal to link with external servers via web services for features like respond to jobs, submit candidates, reporting, and own branding on all elements of the recruiting agency websites. Made e-publishing platform for Apex CoVantage to speed up OCR for publishers with 5K users. Started working full-time while studying a bachelor’s degree. After three years led a startup team of 5 to develop projects for the Ministry of Internal Affairs of Ukraine. Organized company recruiting process and trained & mentored employees to develop frontend and backend applications used for phone station certifications and surveillance. Implemented frameworks for data extracting from GSM and CDMA stations and presented in a user-friendly format for security team personnel. Wrote project for first national CDMA operator in Odessa to create unique message protocols for Lucent/Alcatel phone station. Conducted software for Intertelecom company to increase coverage from 5 to 16 regions of Ukraine. Performed certifications for three stations in Kiev and Vinnytsia for Utel (UMTS/WCDMA) and successfully onboard biggest mobile service providers in Ukraine and Russia - MTS. Mentored team of 5, built architecture and implementation for the core encoding/decoding framework in international telephone exchange stations like Huawei, Ericsson, and Lucent. Conducted client/server program (Switch Node) to emulate TCP/IP and UDP traffic from telephone stations and to follow SMS or voice network protocol messages. It was a multithreaded tool with an internal finite state machine command processor.